Every brewery has a story. Just like any business. Of course, some of the stories are more interesting than others. For Mt. Tabor Brewing, which just opened a production brewery and tasting room in Southeast Portland, it's been quite a ride. 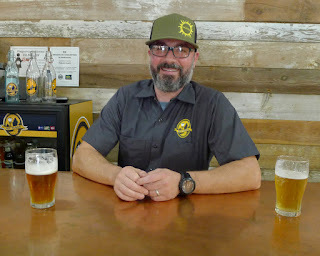 The first edition of the brewery, launched by friends Eric Surface and Brian Maher, was located in Maher's garage. Subsequently, they moved to an industrial space in Montavilla in 2010. A year later, they lost that spot. That led to Version 3 in downtown Vancouver, opened in October 2011. Now there's Version 4 in Portland. 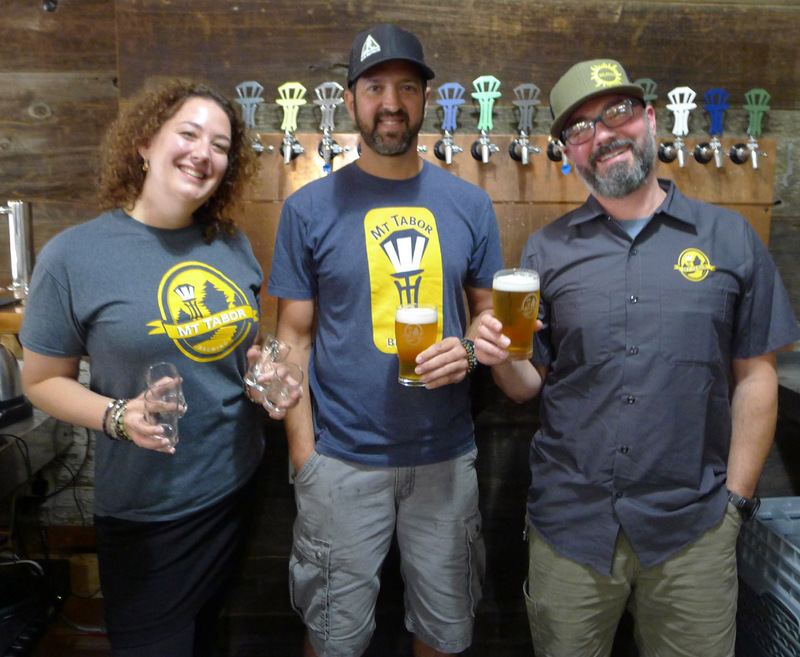 "When we moved to Vancouver, the brewery was really nothing more than a hobby that supported itself," Surface says "But we quickly outgrew the limited space there. My vision had always been that our production facility should be in Portland and we actually made that happen more quickly than I imagined when we moved to Vancouver." In fact, plans for Portland were moving forward well before their lease in downtown Vancouver ended last May. Two years ago, Surface and several partners leased 6,000 sq ft of space in the Buckman neighborhood. Since then, they've been navigating the construction and permit process involved in getting the doors open, which happened a week ago. Another twist in the road involves their head brewer. When the previous brewer left to pursue another opportunity, Surface needed a replacement. A lot of industry heads spun Exorcist-style when they learned Ben Dobler, a 20-year Widmer veteran, had opted to leave a good job in an established company to roll the dice with Mt. Tabor as head brewer. "I saw things changing at the CBA," says Dobler, who worked in new product development for most of his last 10 years there. "They wanted me to create inexpensive beers that could be sold at a premium price. The stress was mental, not physical. But the uncertainty of what's happening with the CBA and whether I'd still have a job in a couple of years made me uncomfortable." Dobler and Surface knew each other from their days at Mountain View High School in Vancouver, classes of '92 and '93, respectively. They had stayed in touch over the years through mutual friends and had occasionally spoken. Would Dobler leave a cush job at Widmer to join a startup working 60 grueling hours a week? "I had no idea if he'd be interested," Surface says. But we have similar tastes in beer and similar interests outside brewing. He seemed like a natural fit for our program and the expansion I envisioned with the move back to Portland. I figured there was no harm in asking so I sent him a text message." Dobler, somewhat bored at Widmer, saw potential at Mt. Tabor and thought it represented a stimulating opportunity. "I'm going to brew quality beer my way," he said. "The beer list will reflect my preference for balanced, drinkable, low ABV beers. I'm not a fan of alcohol bombs where patrons have to be carted out after more than a pint." The Portland location features a 15 bbl brewhouse with three 20 bbl fermenters. They could brew up to 120 barrels a month with the current setup, and expect to produce around 500 barrels this year. The taproom, managed by veteran Nicole Kasten, will be open Friday and Saturday for the time being. Soon enough, Surface expects to add Sunday and Thursday. Growth will happen primarily via draft distribution for now, Surface said. Mt. Tabor beers are distributed by Running Man in Portland and by Stein in Vancouver. They will consider packaging options once draft volume edges closer to capacity. Their space has considerable room for expansion, when the time is right. The beers on the core list are solid and all are under 7% ABV. But there isn't a single niche or zinger on the list, which seems odd. Normally, you walk into a Portland brewery and see at least one standout, flagship beer. Not here. In the heart of the craziest craft beer market in the country, these guys expect to attract a following with quality and drinkability. We shall see. Despite the heavy recent focus on Portland, Vancouver has not been entirely abandoned. Surface and partners have leased space in the Felida area and will open a brewpub and pizza joint there by the end of the year, if all goes well. That location, in an underserved residential area not far from Surface's house, should do especially well. Mt. Tabor's strange, twisting journey continues. Editor's Note: On October 15, two weeks after this story was published, Ben Dobler and Nicole Kasten announced they are leaving Mt. Tabor Brewing. No reasons were given to the public. Mt. Tabor's strange odyssey continues.